- All photos by Jim Mason This is a wonderful place to learn about many kinds of Kansas wildlife. The Operations Office of the Kansas Department of Wildlife and Parks is located near Pratt along the South Fork Ninnescah River. Visitors to the Pratt Education Center (red dot on map below) can see displays about predators, shorebirds, waterfowl, eggs, insects, reptiles, and amphibians. There are also 12 aquariums featuring native fish as well as several terrariums with native snakes and lizards. The education center is surrounded by the Pratt Fish Hatchery-covering 187 acres and consisting of 87 ponds. Channel catfish, largemouth bass, striped bass, walleye, sauger, and bluegill are produced here. During spring and fall migrations, many species of shorebirds use ponds in varying stages of drawdowns. Terns and gulls are common during these times; occasionally an osprey can be seen. In the warmer seasons, herons, kingfishers, and sunning turtles are visible around the hatchery ponds. Park at the office and walk along some of the ponds on the east side to get a good view. To see the south side of the main battery of ponds, drive west on K-64 toward Pratt. Carefully pull off to the side of the road, as traffic is regular. Up to 200 Canada geese overwinter in the area. 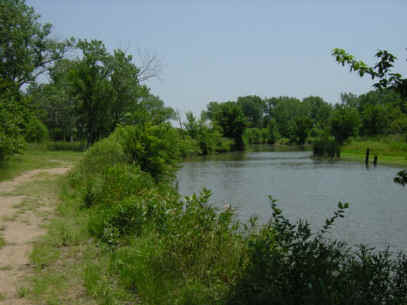 Pratt County Veterans Memorial Lake lies immediately east of the hatchery and office. The lake attracts ducks, herons, and kingfishers, and the extensive cattail marsh at the west end is alive with red-winged blackbirds and wading birds in the summer. The South Fork Ninnescah River flows along the north side of the hatchery and lake. Beaver activity is visible in many places along this scenic stream. You can walk along the north side of the river beginning at the Turtle Point parking lot just north of the bridge on K-64. During the evenings, watch for deer in adjacent fields. Primitive camping at the lake. Click the icon to find a birding list for Pratt County. Directions: Pratt Fish Hatchery is 2 miles east and 1 mile south of Pratt on K-64. Pratt County Lake is reached by traveling east on the road south of the hatchery and operations office. 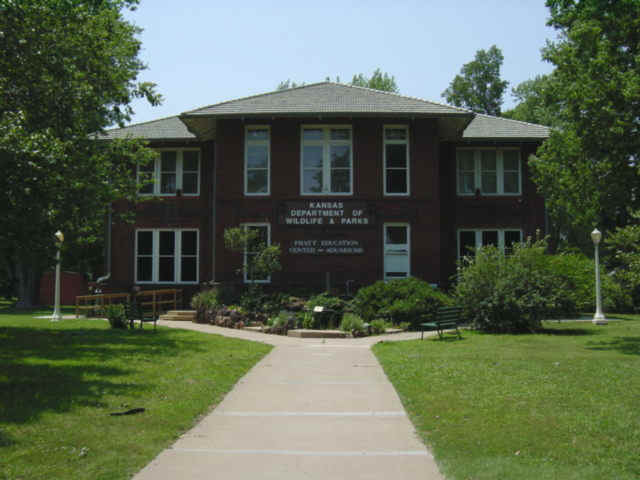 Ownership: The entity responsible for management of the Pratt Education Center is the Kansas Department of Wildlife, Parks & Tourism. Contact them at (620) 672-5911 if you have specific questions about it. Hours: 9 to 5, Monday through Friday. Click here to visit the web site for the Pratt Education Center.